The Network Temp Storage server is a server partition available to all MCAD students, faculty, and staff for the temporary transportation of files from one lab to another. It is possible to connect via FTP from offsite. Click here to learn how. While appropriate for moving files, it is not a secure place to store files for extended periods of time, as anyone can access or trash materials stored there. Removable media (such as USB drives and external hard drives) or your secure Studio server are preferred ways to save and archive your work files. Furthermore, files stored on the Network Temp Storage server are automatically deleted at the end of every semester. 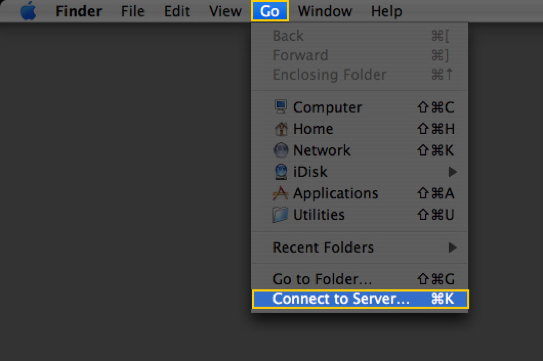 The Connect to Server window appears.